Do you know candy called "milky" of Japanese confectionery maker "Fujiya?" "milky" is loved by the candy which milk taste makes in Japan more than approximately 60 years.The character of "milky" is Peko more than 60 years. It is hand cream that I have. 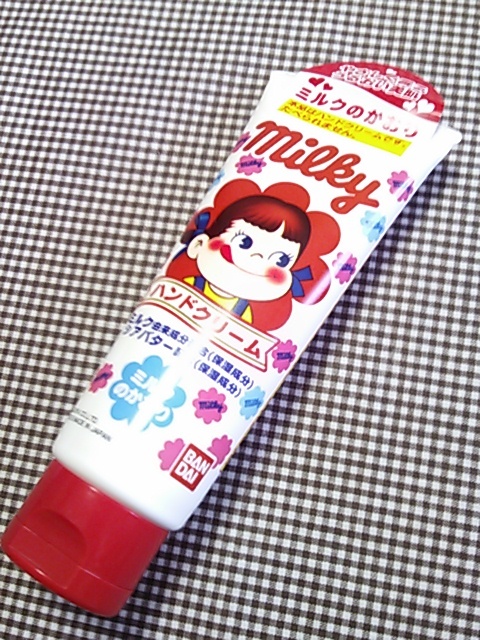 This hand cream smells the sweet milk of the fragrance same as candy. 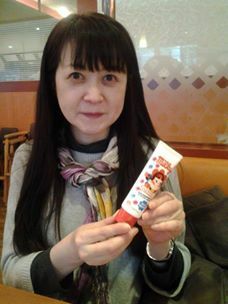 but this hand cream is "Bandai" and a collaboration product of "Nari's cosmetics". The Japanese character becomes in a boom in the world. I thought that the sales strategy of the Japanese character was delicate. This homepage accesses it from 49 countries and areas.